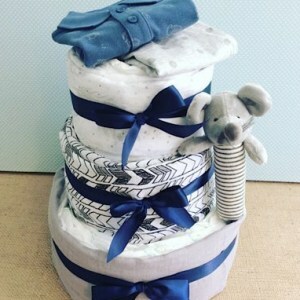 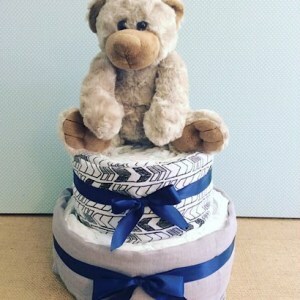 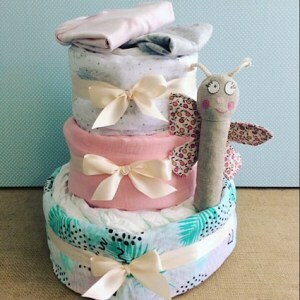 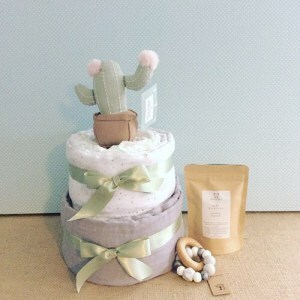 We use “huggies” newborn nappies to lovingly sculpt the nappy cake tiers and the 100% cotton swaddle wraps are the icing on the cake (pardon the pun). 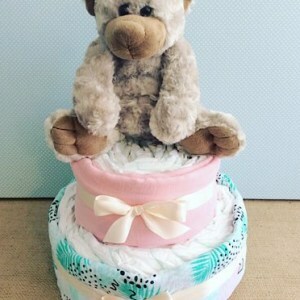 They are then topped with a bottle and a soft toy. 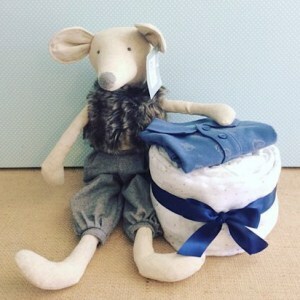 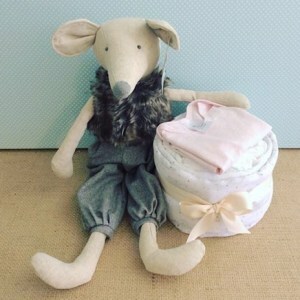 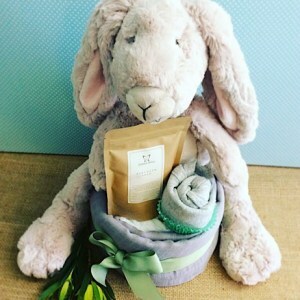 These are the perfect, lasting gift for the new arrival and they make a great baby shower gift idea too!